Camera: Canon EOS 300D (EOS Digital Rebel); Lens: Canon EF 100-400mm f/4.5-5.6L IS Zoom; Focal Length: 160mm; Aperture: F/5; Shutter Speed: 1/125; ISO: 400. 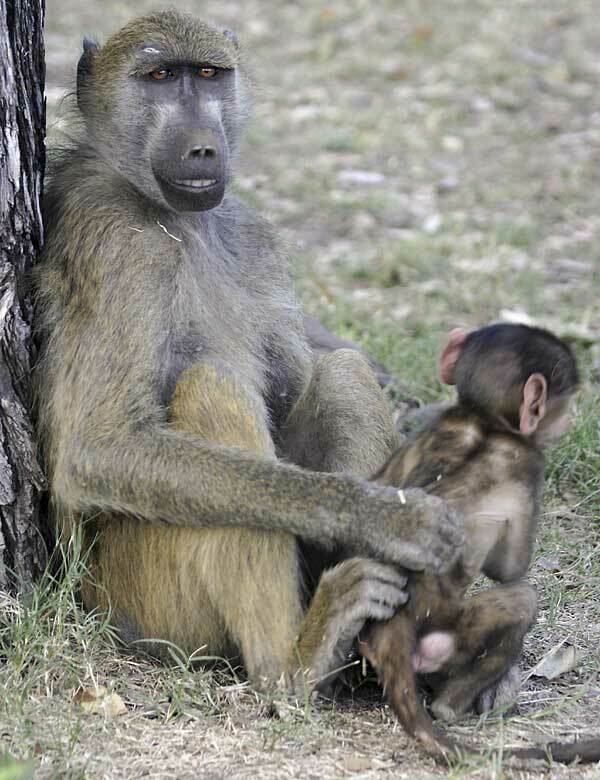 The image above of the baboon and her infant was taken in the Mosi-Oa-Tunya Park in Zambia. Mosi-Oa-Tunya is a small protected area established around the famous Victoria Falls and is intended to conserve the falls themselves and the immediate environment along the Zambezi River.